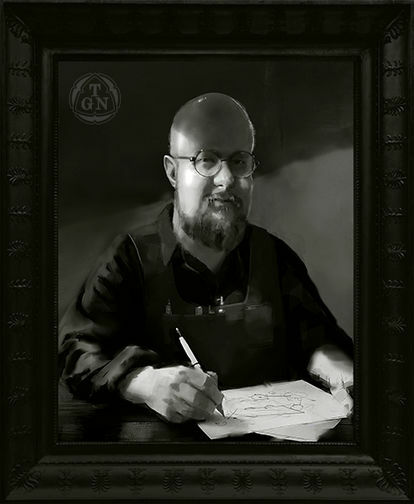 "My name is Juhani Ananin and I am the owner, founder and the creative head of The Gilded Nook. I'm a jewellery designer and a goldsmith with an artistic flair from Finland. I love creating things that make people smile and my work revolves around the appearance of function, humor and storytelling. My material of choice is sterling silver and I have recently developed a passion for cabochon cut gemstones. "The piece turns out great, when details, technical application and design not only tell the story behind the piece, but give it an impression of jumping up and becoming alive."